Among the justifications offered up for shipping Oregon foster children to an allegedly abusive institution in Iowa: Oregon is a small state, so it doesn’t have the "best treatment services." Iowa is a smaller state. 1. Disability Rights Washington issues a report alleging widespread abuse and prison-like conditions at Clarinda Academy an institution in Iowa to which Washington State sends foster children it doesn’t know what to do with. 2. Washington State responds by promising to take the foster children for whom it has responsibility out of this allegedly awful place – and move them to other institutions. 3. Oregon Public Broadcasting reveals that Oregon also is shipping foster children to Clarinda. 4. Oregon officials go all Sergeant Schultz in response. They know nothing, nothing about any abuse of Oregon children. They say they’re confident that Clarinda never abuses children from Oregon, so those children are just going to have to stay there. Jones begins with one of the old standbys: Things are so different now from when she started 20 years ago. The children’s problems are just sooooo much more difficult now. Well, I started writing about child welfare as a reporter more than 40 years ago. And everyone in child welfare making excuses for their failures said exactly the same thing: The children we’re seeing “now,” (in the 1970s, that is), have problems that are sooooo much more difficult than they were back in the 1950s. Such claims go back even further. The oldest claim I’ve found, so far, that the children’s problems are so much worse “now” was written when “now” was 1948. Oregon, like other states with small populations, needs to use out-of-state services. We work through the juvenile court system, where a judge must sign an order to place children out of state. That, of course, is the same rationalization used to justify taking away children needlessly in the first place. But since neither children nor parents typically have effective legal counsel, the judge is hearing only the child welfare agency’s side of the story. And that’s why they’re far more likely to wield rubber-stamps than gavels. Since 1975 Oregon has followed the rules and procedures of the Interstate Compact on the Placement of Children, uniform legislation adopted by all 50 states that mandates any placement must be approved and monitored through the compact. But the ICPC does nothing to ensure that Oregon children, institutionalized in Iowa, are really safe. What the ICPC really does is formalize delay, incompetence and buck-passing. It is among the impediments to a well-functioning child welfare system. Everyone n child welfare knows this. 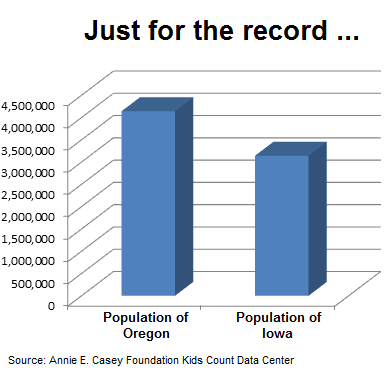 Well, everyone except, perhaps, a child welfare leader who also doesn’t seem to know that Oregon is bigger than Iowa. When a child is placed out of state, our staff participate by phone in ongoing treatment planning with the child. And what better way to know if a child is being abused than by calling him or her on the phone, right? It’s the perfect way to build trust! And staff at an allegedly abusive institution would never think of standing nearby while the child is taking to the worker. They also can call the child and visit the facility to meet face to face and ask the child how they are doing. Well of course they can. But do they? And in terms of the information gleaned, what is the difference between this kind of visit from someone parachuting in from a thousand miles away and when Red Cross workers would visit POW camps where prisoners would assure them that, really, truly, they were being treated just fine. We contract with independent, third-party professionals to monitor the child’s well-being and conduct private, in-person meetings every 30 days. So a caseworker who has no stake in this child has to schlep out to Clarinda and talk to the child and then report back to some other caseworker in Oregon who probably has little or no idea who the child is. Yep, that’s reassuring. ● The no-singing rule is one example of the prison-like rigidity to every aspect of daily life. Others include having to move from place to place lined up single file, being barred from talking to the opposite gender, almost never being allowed off the facility grounds and severe restrictions on phone calls to friends and families. Some dorms add on restrictions such as no leaning on walls, no talking during meals, no walking on grass, and no going to the bathroom without permission. 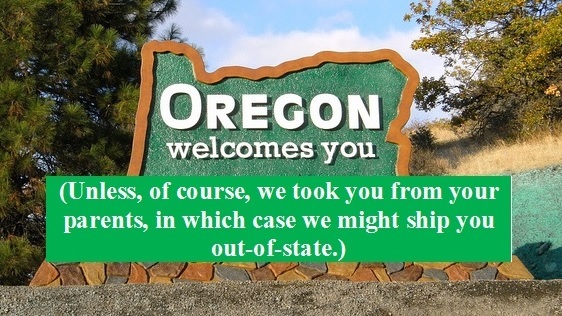 Yet Marilyn Jones apparently wants us to believe that if a child says “No, wait, I’m from Oregon!” this doesn’t happen. Imagine what would happen if, say, independent inspectors issued a similar report about, say, a summer camp, and a parent said: “I don’t care what this report claims, I trust the camp director.” Parents have been charged with neglect for far less. But the worst of the rationalizations is the claim that institutionalization is necessary at all. It isn’t. Oregon children are being shipped to out-of-state institutions because Oregon takes away too many children. Period. Get the children who don’t need to be in foster care back home and there will be plenty of room in good, safe foster homes for the children who really need them. Provide intensive wraparound services to the children and the foster families, and there will be no need to institutionalize those children. 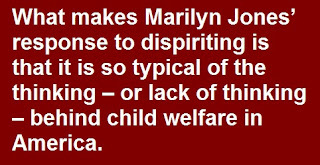 I’m sure that all those years ago, (back when the children’s problems were sooooo much easier) Marilyn Jones went into child welfare work for the right reasons. I’m sure she’s in it for the right reasons today. But that’s not enough. I hope everyone in Oregon will read the full DRW report. Then read Jones’ op-ed. And then ask two questions: 1. Is Clarinda really an example of the "best treatment services"? 2. Is Marilyn Jones really the best person Oregon could find to determine the fate of the state’s most vulnerable children? Can child welfare control its “nuclear weapon”? Here’s your chance of a lifetime to find out! Predictive analytics is the nuclear weapon of child welfare. Vast amounts of data are taken from people – especially poor people – without their consent (like what Facebook does, only worse). Then if someone alleges that one of those people has committed child abuse or neglect, a secret, or perhaps only semi-secret, algorithm coughs up a risk score. That score is an invisible scarlet number that can brand not only parents, but their children, for life. As Author Virginia Eubanks explains in her book, Automating Inequality, rather than counteracting the racial and class biases of the human beings who run child welfare systems, it magnifies those biases. She calls it “poverty profiling.” And ProPublica has documented how this has played out in criminal justice. So what is the response from proponents of analytics in child welfare – a field that is super secretive with no real accountability, due process, or checks and balances? Endless promises of self-restraint. Sometimes they say: “We’ll only use it to target prevention programs.” But we already know how to target prevention programs without an algorithm: Just put them where the poor people are, since the overwhelming majority of cases involve “neglect” and child welfare systems routinely label poverty as neglect. Or they’ll say: “Child abuse hotline operators will know the “risk score” but we won’t even tell the people who actually go out to investigate the allegation.” But whoever is going out to investigate knows that if they’re told to get out there in a hurry it’s probably because the risk score was high. So whether they’re told or not, they know. Or they’ll say: “We’ll never, ever use the score to decide whether to remove a child from the home.” But again, the caseworker knows (whether explicitly told or not) when the algorithm has rated a case high risk – and they can’t unknow it when the time comes to decide whether to remove the child. Or they’ll say: “Even if we get our fondest wish and get to slap a ‘risk score’ on every child at birth (and make no mistake, for some in the field, it is their fondest wish) we’ll only use it for prevention. But – well, see all the problems cited above. But there’s an even bigger problem with all these high-minded promises. What happens as soon as there’s pressure to be less high-minded? 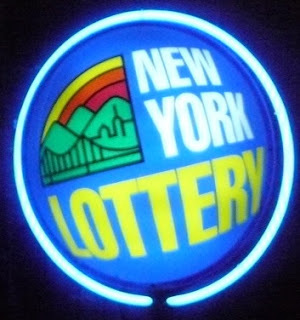 The amount of pressure needed to get politicians to abandon their principles can be remarkably low – as is illustrated by the story of the New York State Lottery. Yes, the Lottery. New York State was among the first in the modern era to institute a lottery, in 1967. It took an amendment to the State Constitution – so there were lots of high-minded promises to allay concerns of those who feared it would encourage compulsive gambling or encourage those least able to afford it to waste their money. Yes, the Lottery still sometimes produces commercials that take the high road, but this is the dominant theme. If all it takes is revenue falling short of projections to prompt this abandonment of principle (and principals), imagine what would happen in a field where the stakes are a lot higher. 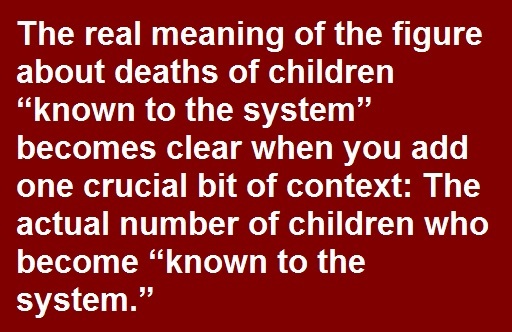 Imagine this scenario: A child “known to the system” has died. The media have found out the name of the caseworker who mistakenly thought the home was safe. After being attacked in news accounts and/or by politicians, she comes forward to tell her story. What are the odds that the leader of the child protective services agency would stick to the policy of using predictive analytics with only the utmost restraint? Even if s/he wanted to, what are the odds that the political leadership in the state or county would allow such restraint to continue? I’d say you’ve got a better chance of winning the lottery. If you want to get people to surrender fundamental civil liberties you’d better scare the hell out of them. Donald Trump understands this; it’s been his m.o. since he began his campaign. So when his administration started tearing apart families at the Mexican border he justified it with hype and horror stories. The child welfare establishment gets it, too. For decades they’ve used horror stories – and hyped, misleading statistics - to justify tearing apart families all over America. No, it’s not identical, but there are more similarities than differences. It’s not that the numbers themselves are necessarily wrong – but crucial context often is missing. So we are often told that there are more than three million reports alleging child abuse every year. But we’re not told that more than 80 percent of them turn out to be false and most of the rest involve “neglect” – which often means only that the family is poor. 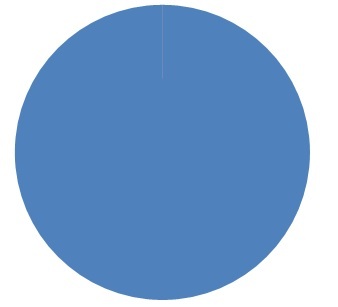 It is a figure built around the worst possible tragedy – child abuse fatalities. The only acceptable goal for such tragedies is zero. But if one really believes that even one such death is one too many, then there is no need to distort data to leave a misimpression about how often such tragedies occur right under the noses of caseworkers. And that very distortion makes it harder to reach the goal we all share. The more one favors a take-the-child-and-run approach, the more one harps on this figure – because the impression it leaves for the casual reader is vastly different from what the number really means. Typically, the percentage will be anywhere from one-third to two-thirds; the Register gave an even higher percentage, but did not explain how it came to that conclusion. So one might read in a news story: “Half of all child abuse deaths involved children previously known to child protective services.” Wow. That sounds like half the time, children known to CPS die. Of course the figure means nothing of the sort. The real meaning becomes clear when you add one crucial bit of context: The actual number of children who become “known to the system” over the course of a year. So now, let’s look at the numbers nationwide. According to the latest Child Maltreatment report from the Department of Health and Human Services, there were an estimated 1,720 child abuse deaths in 2017. Of that total, 27.3 percent were previously known, in some way, to authorities. Sounds like children often, even typically, die right under the noses of child protective services workers, doesn’t it? 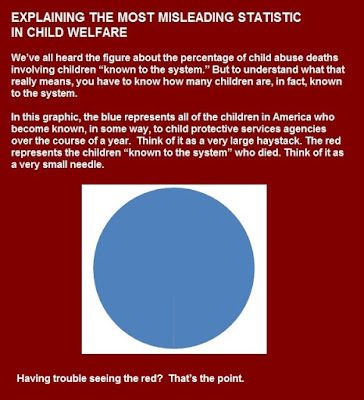 But now, let’s add the missing number – the total number of children who become “known to the system” every year. In 2017 that number was over seven million children - 7,508,000 to be precise. So now we’re talking not about 1,878 out of 3,440 – but 1,878 out of 7,508,000. A tiny red needle in a big blue haystack. But even that representation understates the difficulty involved for frontline caseworkers. In the graphic, all of the deaths are in one place. In real life, they are much smaller needles scattered all over the haystack. 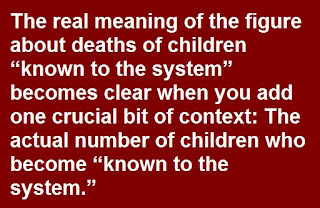 And then there is the whole definition of “known to the system.” Again, some of those deaths were in cases where, in fact, the family was extremely well known to authorities, the problems were obvious and anyone should have seen the danger. But most were not. Sometimes “known to the system” means only that a report several years earlier had been screened out at a child abuse hotline. So CPS investigators didn’t really know the family at all. 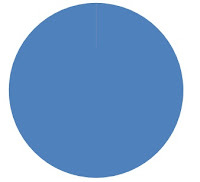 Where do we put 7.4 million children? So what do we do? Investigate the families of all 7.4 million children? Even if that could be done logistically – and it can’t – that would traumatize millions more children for no reason. And, of course, the overload would be such that all the investigations would be sloppier and even fewer needles in that giant haystack would be found. Or should we skip the investigating and just take away all 7.4 million children? That way we know we won’t miss the needles because we’ve vacuumed up the entire haystack. But where, exactly, would we put all those children? And what would we do about placing so many of them at high risk of abuse in foster care itself? 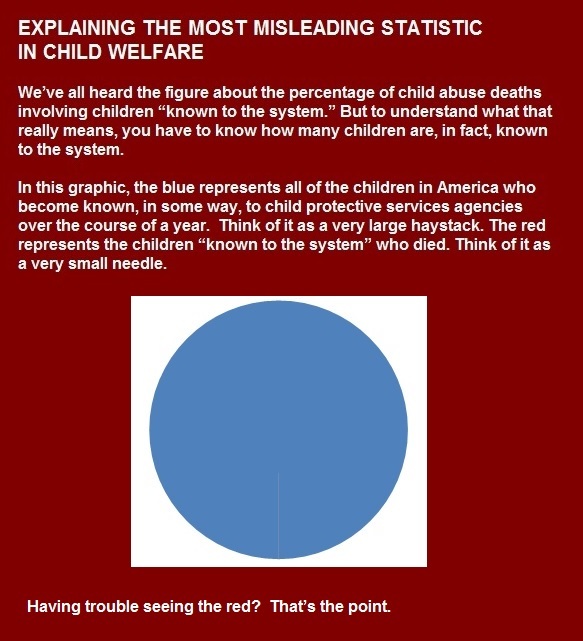 So what’s the point of the most misleading statistic in child welfare? It’s not to get us to take away all 7.4 million – but it is an effort to get us to take away more of them, and traumatize more families with needless investigations, and beat back any attempts to impose openness, accountability and due process on the system. But openness, accountability and due process are exactly what we need. Because only a system that relies less on coercive intervention will have the time and resources to find those needles in the haystack, before it’s too late. We know that because of something I’ve written about before, a study done by a liberal Texas think tank, the Center for Public Policy Priorities. The study looked at what does, and does not, contribute to reducing child abuse deaths. Which means, of course, the real solutions are pretty obvious. In contrast, the misuse of the most misleading statistic in child welfare only makes things worse. It encourages overloading caseworkers with even more false allegations, more cases in which family poverty is confused with “neglect” and more children needlessly torn from everyone they know and love. And that leaves the workers even less time to find those very small needles in that very large haystack. Predictive analytics in Pittsburgh child welfare: No poverty, no profile? "risk score" that amounts to an invisible "scarlet number" that may haunt them for life. Pittsburgh is the home of the nation’s most advanced use of “predictive analytics” in child welfare. In Pittsburgh, an algorithm is used to screen calls alleging child abuse and determine if a case is high risk. The algorithm produces a “risk score” – a secret “scarlet number” between 1 and 20. The higher the number the greater the supposed risk. So now let us consider a recent incident in Pittsburgh – and what the algorithm might do. A man storms into an office. His 12-year-old daughter is with him. The man appears intoxicated. The man screams and yells and pounds his fists against a bulletin board. He demands to have his picture taken. He forcefully grabs his daughter’s forearm, pulling her into the picture as she tries her best to pull away from him. She screams “Please, please Daddy, no!” multiple times. And multiple times he yanks on her arm, trying to pull her to his side so a photo could be taken of both of them. He yells at his daughter and repeatedly jabs his finger in her shoulder. The daughter is crying hysterically and red-faced. 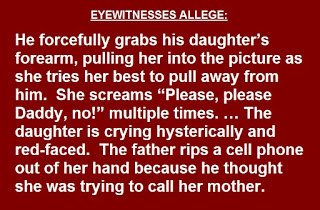 The father rips a cell phone out of her hand because he thought she was trying to call her mother. I was extremely concerned for his daughter‘s safety, and I actually noticed that my heart was racing. … Having to watch as [the father] terrorized his teenage daughter — with his hair disheveled and his face twisted — was something I’m never going to forget. I don’t know if anyone called Pennsylvania’s child abuse hotline to report the incident. But if anyone did, and if the call were then referred to Allegheny County Children and Youth Services (CYS), the name of the father would be run through the Allegheny Family Screening Tool (AFST), the county’s vastly overhyped predictive analytics algorithm. And the odds are that this father’s risk score would be very, very – low. Why? Because the father in this case is John Robinson Block, publisher of the Pittsburgh Post-Gazette. The alleged outburst occurred in the Post-Gazette newsroom. The account above is taken directly from eyewitness accounts posted on the website of the Newspaper Guild of Pittsburgh. In a statement on Thursday, Block Communications disputed the employees’ accounts, saying that Mr. Block had only “expressed his frustration” to employees “about several issues of concern to him.” The company said it provided a safe work environment. “We have conducted a review of all information available, and we disagree with the characterization of Saturday evening’s events as expressed by the Newspaper Guild,” the statement said. Mr. Block “expresses his sincere regrets over his conduct that evening and did not intend his actions to upset anyone,” it added. But, of course, child protective services agencies urge people to report even their slightest suspicions that something they’ve seen might be child abuse or neglect. Were John Robinson Block reported, AFST would not cough up a message that says: “Hey, this guy’s a bigshot publisher, better leave him alone!” but as a practical matter, the algorithm may have a similar effect. As Prof. Virginia Eubanks explains in her book Automating Inequality, 25 percent of the variables in AFST are direct measures of poverty. Another 25 percent measure interaction with the child welfare and juvenile justice systems themselves. Because the model confuses parenting while poor with poor parenting, the AFST views parents who reach out to public programs as risks to their children. Because these are public benefits, such as SNAP (formerly foodstamps), TANF (Temporary Assistance for Needy Families) and Medicaid, the data are collected automatically by the county. But odds are John Robinson Block has never applied for any of these programs, so his risk score is likely to be lower. And if John Robinson Block has ever had any personal problems that might bring him to the attention of, say, health professionals, he would have been able to get the best private care – so nothing is going to go into a public database that could be scoured by AFST and further raise the risk score. Eubanks calls AFST “poverty profiling.” But is there a corollary: No poverty, no profile? In her book, Eubanks documents impoverished families caught in the Allegheny County CYS net based on allegations far less serious than what those eyewitnesses say occurred in the Post-Gazette newsroom. It’s possible that the whole incident wouldn’t be in Allegheny County’s jurisdiction anyway. I don’t know if Block even lives in the Pittsburgh area. The family media company is headquartered in Toledo, Ohio. But if the allegations ever do reach screeners in Allegheny County, workers may be too busy checking out “high risk” families whose poverty has been confused with “neglect” to take them seriously. The algorithm visits the sins of the parents, real or imagined, upon the children. Eubanks cites a family that was victimized by repeated false reports. When the child the county supposedly was “protecting” grows up, if she herself becomes the target of a child abuse report she will bear a higher scarlet number — because her own parents supposedly were neglectful. So her children will be at greater risk of enduring the enormous harm of needless foster care. 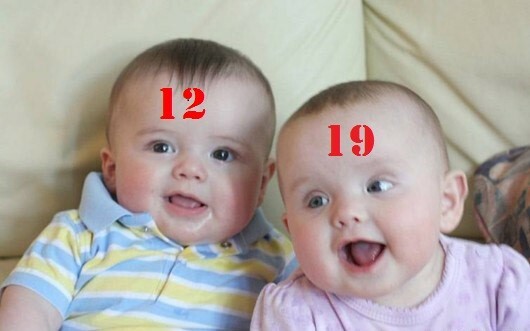 In contrast, if the parent’s “scarlet number” is low, the child’s will be as well. As I’ve noted before, Dalton also is the one who sent an email talking about stamping a scarlet number on every child born in the county – at birth. She’s also gone out of her way to minimize the harm of foster care. That, of course, misses the point. The fact that, if the eyewitness accounts are correct, and if he were reported to Allegheny County CYS, John Robinson Block probably would wind up with a low AFST risk score does more than illustrate what doesn’t get noticed. It also illustrates what does get noticed. It illustrates that AFST doesn’t predict child abuse – it predicts poverty, and then confuses that poverty with neglect. ● The child welfare agency keeps children in an out-of-state institution even after learning about allegations of widespread abuse. ● The Oregon lawmaker who never misses an opportunity to grandstand about child welfare ignores real solutions. Last year, Disability Rights Washington (as in Washington State) published a report, discussed here, alleging serious, widespread problems at Clarinda Academy, an Iowa institution to which Washington State regularly shipped foster children it didn’t know what to do with. The Washington State child welfare agency responded by doing the bare minimum: They promised to get the children out of Clarinda by the end of last month (I have seen no news accounts checking to see if they succeeded). But that didn’t necessarily mean things got better for the children; some were simply institutionalized elsewhere, sometimes even farther from home. Could any state possibly respond with even less concern and less compassion? Actually, yes. When it comes to child welfare failure, never underestimate Oregon. After the allegations of abuse in Iowa surfaced, a spokesman from the Oregon Department of Human Services said in an email, a representative of Clarinda Academy and Sequel visited Oregon to respond. Oregon staff also flew to Iowa to check on the children at Clarinda, according to a DHS spokesman. In addition, the state says, Oregon contracts with third-party professionals to monitor children at all out-of-state facilities. Based on those visits, Oregon officials determined foster children being sent elsewhere are safe. Right. Because of course, before deciding which children to subject to alleged abuse or other ill-treatment, staff are always going to ask what state they’re from. 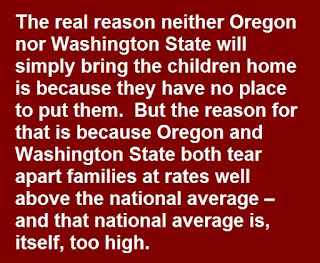 Of course the real reason neither Oregon nor Washington State will simply bring the children home is because they have no place to put them. 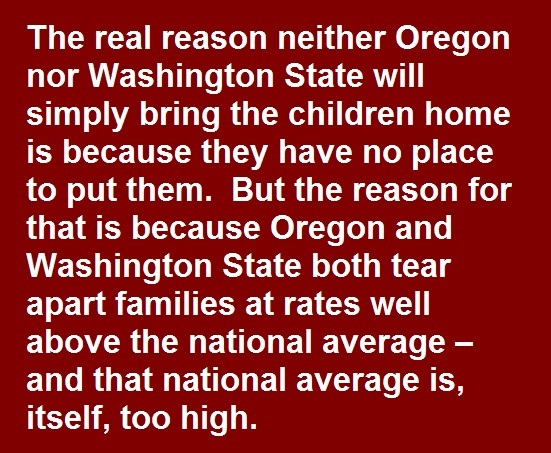 But the reason for that is because Oregon and Washington State both tear apart families at rates well above the national average – and that national average is, itself, too high. Same thing with Rhode Island, which, as we documented in this report, (starting on page 25), also is an extreme outlier when it comes to taking away children, and also has had a chronic problem of shipping children out-of-state. And it’s a perennial problem in West Virginia, which tears children from their families at one of the highest rates in America. Compare these states to Connecticut – which used to have the same problem, but doesn’t anymore. Connecticut used to tear apart families at a rate above the national average. It relied heavily on institutionalizing children – sending many to institutions out-of-state. Every high-profile death of a child “known to the system” would set off a foster-care panic – a sharp, sudden increase in children torn from everyone they know and love, and that would make everything worse. Then, in 2011, Joette Katz was named Commissioner of the state’s Department of Children and Families. She refused to tolerate foster-care panics. She focused on safe, proven alternatives to taking away children. 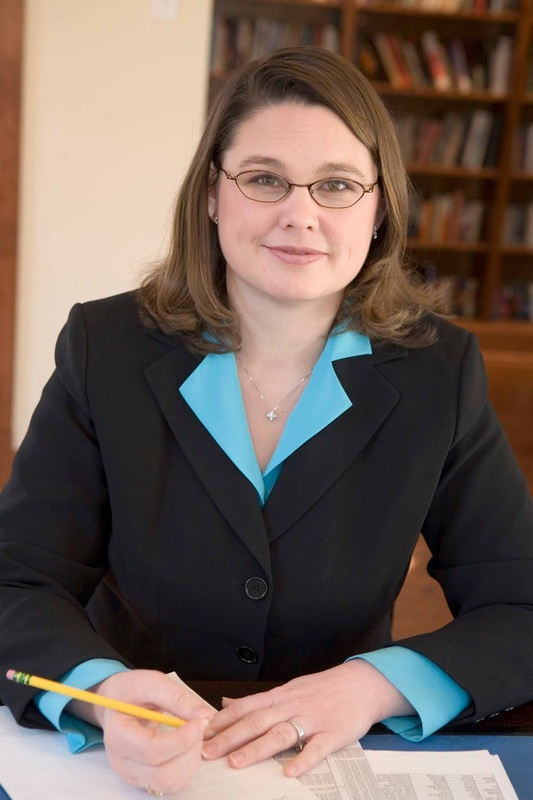 She increased the use of kinship foster care – placement of children with relatives instead of strangers. And she pioneered an innovative in-home drug treatment program for cases in which substance abuse was an issue. By curbing needless removal and increasing the use of kinship care, space opened up for all those children institutionalized out of state – and almost all of them were brought home. New Jersey embarked on similar reforms, prompted by a class-action lawsuit consent decree. New Jersey also benefitted from bold leadership in the immediate aftermath of that decree. Now New Jersey also takes children at a rate well below the national average – and New Jersey also has drastically reduced institutionalization in all forms, including out-of-state placements. Though I’m glad Oregon Public Broadcasting exposed the fact that Oregon is refusing to remove children from Sequel’s institutions, one part of the story was frustrating. OPB did what Oregon media always have done in recent years – they turned for the obligatory expression of shock and outrage to someone who has unintentionally made all of the state’s child welfare problems worse: State Sen. Sara Gelser. It’s not that Oregon child welfare was wonderful before Gelser came on the scene; in fact it’s been awful for decades. And it’s not that Gelser wants it to get worse. But Gelser has poured gasoline on the fire – using every opportunity to push an agenda that can be boiled down to “take the child and run.” She first came to prominence taking data out of context to claim that Oregon wasn’t subjecting enough children to traumatic child abuse investigations. Then she engaged in grandstanding when state child welfare leaders admitted the obvious: they can’t guarantee that all children in foster care are safe. Then she helped to effectively kill one of the very few efforts Oregon has undertaken to try to curb needless removal, a differential response initiative. Of course Gelser doesn't want children to be hurt. I'm sure she believes her agenda will help them. But the problem with her agenda is that it's not really a children first agenda. Over and over, Sen. Gelser has failed to put the needs of children first. A children first agenda means learning from other states. A children first agenda means understanding that child removal does not equal child safety. A children first agenda means curbing Oregon’s obscene rate of removal. A children first agenda means embracing Wraparound programs, which do anything an institution can do, and do it far better, instead of building more institutions. A children first agenda means bringing the children home, and keeping more of them in their own homes. If Sen. Gelser doesn’t know the answer, then she is willfully ignorant. Other states have found answers, but Sen. Gelser doesn't seem to want to look. So here’s how Oregon can find the answer. Check out what Connecticut did. Check out other states that have safely reduced the number of children trapped in foster care. And stop paying attention to a grandstanding politician who doesn’t know the answer because she doesn’t want to see it. Philadelphia is an extreme outlier. The word is out. 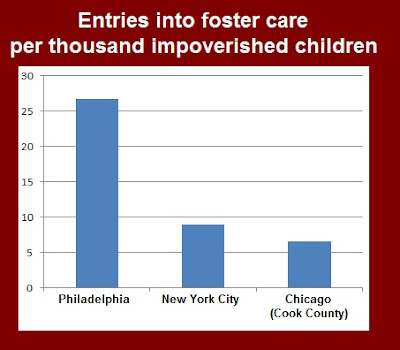 Story after story about Tuesday’s hearing before the Philadelphia City Council about the child welfare system in that city noted that Philadelphia takes children from their families at the highest rate among America’s big cities. So the city’s Department of Human Services is getting desperate. In an attempt to counter that fundamental fact, they’ve resorted to a remarkable exercise in disingenuous dissembling. Toward the end of this post, I examine DHS’ misleading claim, word by word. (Those who don’t need a recap of the actual data can skip down to the section at the end called “DHS’ statistical stunt.”) But I’d like to begin by reviewing the facts and explaining the sources and methodology in some detail. other large urban child welfare systems also have high rates of children in poverty, but do not experience out-of-home care rates even approaching those of Philadelphia. The response from DHS Commissioner Cynthia Figueroa was a bit bizarre. In a tweet, she admitted that DHS is an extreme outlier when it comes to the number of children trapped in foster care on any given day, but noted that this is not the same as the number of entries into care over the course of the year. But that still leaves a lot out. While it is possible to be an extreme outlier in placement and not removals, it is very rare. For example, when comparing statewide rates of removal, of the ten states with the highest rates of placement eight of them also are among the top ten in rates of removal. But of course that isn’t enough. You do, indeed, have to look at the actual data for entries into care to determine rates of removal. And to make the comparison fair, it’s necessary to compare big cities to big cities and to factor in rates of child poverty. That’s exactly what NCCPR did. Pennsylvania Partnerships for Children publishes a report each year with comprehensive data for every county. They use data that states are legally required to report to a federal database. Though it's a big hard to read in the screenshot, the figure for 2017, the most recent year available in the federal database is 2,888. In other words, during 2017, children were taken from their families in Philadelphia 2,888 times. That’s not an estimate. That’s not a percentage. That is the actual number the State of Pennsylvania gave to the federal government – presumably after getting it from DHS. NCCPR Big City Rate-of-Removal Index. Some have argued that removals should be divided by total child population. We disagree. But, for the record, when you use that measure, Philadelphia looks even worse. You can see exactly how Philadelphia compares, and the sources for all data here. To understand the statistical stunt DHS pulled, you have to parse this word by word. If 3.8 percent of families reported had children removed, that means children were removed from 734 families. But unless every family reported to DHS has only one child, that’s NOT the same thing as saying only 734 children were removed. So ask yourself: Why won’t DHS even give a figure for the actual number of children? But even at an average of two children removed per family that wouldn’t equal 2,888. I have some theories about how DHS may have further fudged the figures to leave out certain categories of entries into care. I’m not going to include them here now, because at this point they are only theories. But I would be glad to discuss them with any journalist who would like to try to get straight answers from DHS. Meanwhile, I’ll stick to the part that involves no speculation. This is fact: The actual number of removals is at least 2,888. When compared to the number of children living in poverty that gives Philadelphia has the highest rate of removal among America’s largest cities. NCCPR’s full written statement to the Philadelphia City Council Committee on Public Health and Human Services is available here. If all goes well, at just about the time this post goes live, I will be among those testifying before a committee of the Philadelphia City Council. The topic will be what it usually is in Philadelphia: that city’s dismal outlier status when it comes to tearing apart families. It has the worst record among America’s big cities, even when rates of child poverty are factored in. After reading a story in the Philadelphia Inquirer Monday, it’s not hard to see why this is still the case. 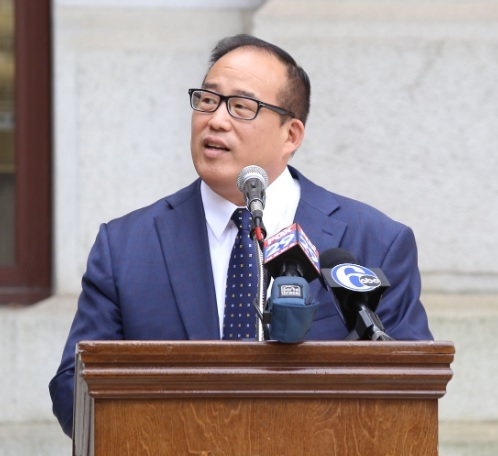 The story is about the councilman whose legislation prompted the hearing, Councilman David Oh. He had his own run-in with the Philadelphia Department of Human Services. Every Sunday, Oh teaches martial arts to his children. One morning, his 8-year-old son was injured. Councilman Oh and his wife rushed the boy to the hospital. He said he was bothered that the social worker could not articulate why she thought the incident was more than an accident. He said she told him she typically reports injuries children suffer in all sports. "She insinuated that [a report] was no big deal, it was routine," Oh said. "And when I pressed her for a reason, she made a comment: 'You're a grown man, you shouldn't be teaching your son judo. He's 8.'" DHS followed up and ultimately decided the report was “unfounded.” But even unfounded reports are maintained in the state’s central registry of alleged child abusers for anywhere from one year to about a year and four months. This would be the place for a good child welfare agency leader to step in and calm things down. 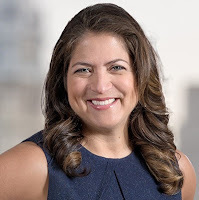 Instead, the Commissioner of Philadelphia’s Department of Human Services, Cynthia Figueroa, seems to have made everything worse. Unfortunately, this is not unusual. Frontline caseworkers sometimes say their decisions come down to "a gut feeling." But this is the first time I've seen anything like that attributed to the head of a child protective services agency. Whatever happened to laws, and regulations and, you know, evidence? Or what about police? 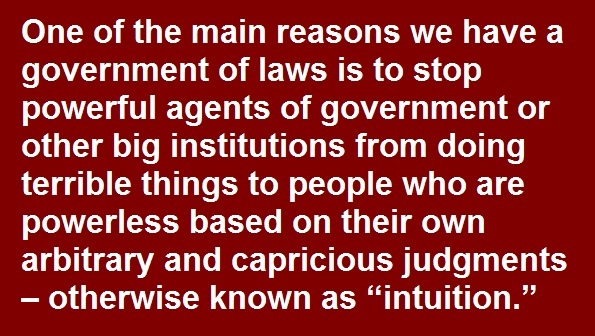 Should they arrest people based on “intuition”? Actually, there is a place where something similar happens in police work – and it’s caused outrage across the country. 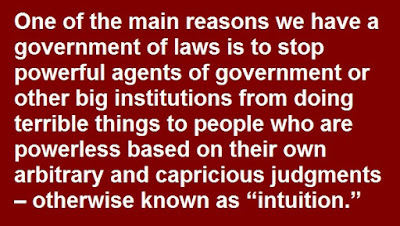 Follow your intuition is the standard behind “stop-and-frisk” policing. 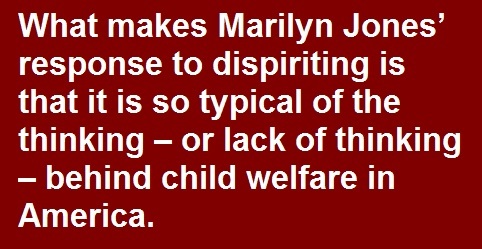 If anything, it’s even worse in child welfare. Bad as it is to be stopped and thrown against a wall for no reason, at least afterwards you usually get to go home. When child welfare agencies use their “intuition,” the children may be forced into foster care. 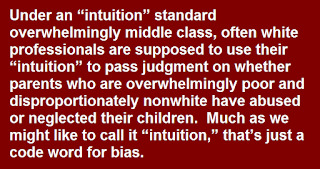 But if, indeed, DHS wants people to report alleged child abuse or neglect by following their "intuition," and if they want their own caseworkers to base their decisions on "intuition," then here's what happens under what might be called the Figueroa Doctrine: Overwhelmingly middle class, often white professionals are supposed to use their “intuition” to pass judgment on whether parents who are overwhelmingly poor and disproportionately nonwhite have abused or neglected their children. 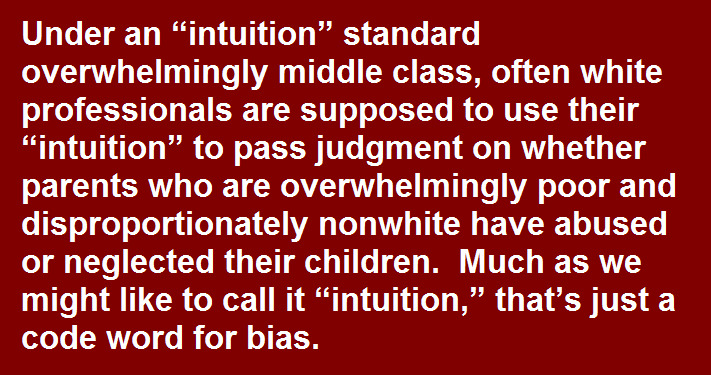 Much as we might like to call it “intuition,” that’s just a code word for bias. This is illustrated by what happened when Nassau County, near New York City, instituted a process known as "blind removal meetings." As soon as those making the decision on whether to remove a child were denied information about the family's race and neighborhood, their "intuition" changed, and removals of African-American children declined significantly. Given all that it’s no wonder Councilman Oh has suggested that Philadelphia begin exploring ways to make the whole process more rational. Figueroa responded the way child welfare agencies usually respond when their failings are exposed: with scare tactics. Figueroa said she has met with Oh twice and told him that she believed changing the reporting requirements would violate state law and could jeopardize the agency's license. But while there are many issues with the whole mandatory reporting process and the laws surrounding it, the real issue in cases such as this is following the law as it already exists. Again, that law sets a standard of "reasonable cause to suspect." I suggested above what Figueroa should have said in that regard. In fact, chaos is an apt term for Philadelphia child welfare as it exists right now. And there is already wide variation among Pennsylvania counties. 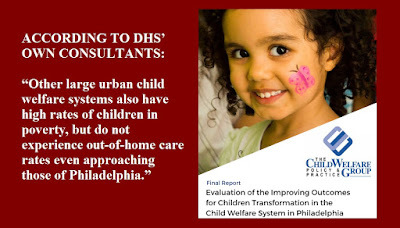 As the data on Philadelphia’s obscene rate of child removal make clear, it is DHS that has gone rogue. DHS has been a rogue agency for decades and it’s time, finally, to bring it under control. NCCPR in Youth Today on child welfare's "mouse that may roar"